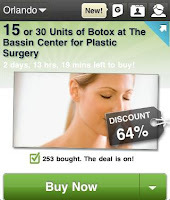 One of the Groupon Ads that I saw this morning was for Botox! It was a special price of $99 instead of the regular $275 price. Isn't $99 a little cheap to potentially kill yourself? I say that in jest. After all, if you read down to the end of the ad, it says, "Botox may cause serious side effects that can be life threatening, including problems swallowing, speaking, or breathing." Wow, how much of that can we sign ourselves up for? I wonder if we can buy in bulk? If you keep reading, you see that it may cause muscle lost, muscle weakening, double vision, blurred vision, hoarseness, loss of voice, loss of bladder control, trouble breathing and trouble swallowing. Wow, is all I can say! I don't know even how to respond to that. The information even talks about the effects of Botox spreading out to other areas of the body away from the injection site. Since my friend Jeff struggles with Tinnitus and I'm learning a considerable amount about ringing in the ear, I asked him to write and share his experiences with me so I could post them on this blog. Until I saw this video (posted to my blog on August 25, 2011) and actually heard similar sounds to what these people hear, I had no idea how horrible it was for them. So here's what Jeff Lemlich wrote and my hope is that it will help others that deal with this condition. In these difficult days throughout our world and our country, there are many seeking answers to life's problems. Whether it is health, unlimited abundance or assistance in the direction to take, many feel lost, hopeless and full of despair. While we can turn to others and various organizations for the truth we seek, we often find that we get nowhere. So many of these places mean well and have great intentions, but they get lost in themselves and as a result, they cause their followers to wander aimlessly. It is sad to watch people fall prey to these places, sometimes spending hundreds and thousands of hard earned dollars, only to be let down once again in life. Of course, the people that fall prey to these places, also have a responsibility to think with eyes wide open, rather than closed. Some days it is far easier to focus upon the unseen rather than feel what is within us. I'm not denying that there is an unseen force in the world and around us. I know it is there through my own personal experiences. Unfortunately, all too often I see where the unseen or mystical side of the universe becomes the guiding force while ignoring the reality within our body and mind. I often see people holding a truth in their hand as if they are the chosen ones with access to the power behind the truth. It is as if the universe has come down from on high and anointed them the keeper of the flame. Actually I find it very sad that these people doing this are so locked up in the power of what the truth is, rather than reality. 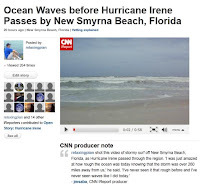 This morning (August 26, 2011), I received a call from CNN - Headline News about a video I uploaded yesterday to iReport (see yesterday's post Ocean Wave Pictures Of Hurricane Irene) . They wanted to interview me for the Special Report segment which airs between 5pm and 6pm. So, during the afternoon, I was busy sending out emails and telling people to watch CNN. Unfortunately, I made a mistake and didn't realize until it was too late, that the interview was on HLN, not CNN. We had our TV tuned into CNN and missed it as well but fortunately one friend of mine did confirm it aired and he saw it. Even though I have many things that needed to get done today, I wanted to head to the ocean and see the effects by the hurricane. Sometimes being your own boss has its advantages where it allows you to change your schedule! It was a different feeling at the ocean today with a different energy. I have never experienced something like what I did today. It was an eerie feeling. Knowing that a very dangerous hurricane was sitting only 260 miles away, is not something I take lightly. I've seen the destruction and I know that even though we may escape this one, some of my friends are in the path of it in North Carolina. Did you know that about 50 million people in the US suffer from Tinnitus? Of course, some statistics state different numbers. Regardless of which statistic you use, there are many out there who deal with this on a daily basis. If you or someone you know suffers from Tinnitus, you may want to watch the following YouTube video or check out the ATA (American Tinnitus Association). YouTube Link: Tinnitus - Can You Hear That? I know we all go to the gym or fitness center for different reasons. One thing I normally see though as I watch people workout, is just how disconnected they are to the task they are doing in the moment. You can see it in their attention or whatever else they are doing. You can also see it in observing how quick and fast they go through one exercise. For me, I'm very aware of movement and I feel each individual muscle fiber as I go through a workout exercise. Sometimes, as I am working on a certain machine, I isolate and feel individual parts or muscles in my mind. While I'm sure there are others that can do this at the gym, what makes a big difference is how I focus on it. Yummy easy to make dish! Here's a yummy dish that I recently made. Of course, if you want it to be Vegan, just change the ingredients that work for you and I'm sure it will taste as good. It is an easy recipe that you could change and adjust to suit your own tastes. So have fun with it and enjoy! Are Human Connections No Longer Needed? I'm amazed at social networking these days not because it is a positive force in this word but because of how everyone buys into it, hook, line and sinker (lake sold seperately). There are four little letters that take people on these social networking sites (Facebook), into a make believe world. The letters L, I, K and E are the ones I am focusing on which of course spell LIKE. Just think of someone clicking LIKE on Facebook. What does that mean? What does it truly do? Do you have to repay them back with a LIKE or will they be upset and think you don't care? What if you miss a post and don't LIKE it, will it hurt their feelings, will they feel neglected? Sorry to disappoint you but I'm not going to name my biggest mistake here in a public setting. Not that I don't trust my readers, but this is the internet and I don't really want some of these things readily available for searches. I'm much more cautious these days on the internet. Regardless, I'm sure that each one of us could name a big mistake we made in life. In fact, I just saw the Dilbert Comic Strip highlight this one today. Someone applying for a job was being asked by the boss in a fictitious interview, to name their biggest mistake. The end result was that the interviewee said, "I learned I should never tell that story." While it is funny, it makes one stop and think a little. Yes, I believe we all have moments in life where we feel we screwed up and made a mistake. At these particular moments, it often looks worse than it does ten or twenty years later. For once we move beyond the initial moments of difficulty, we begin to see the situation much differently. Even though we feel we make a big mistake, it does not always mean that we actually did do this. I wonder about a lot of things in life. My mind is never dormant and it takes very few rests. I think about a lot of things and I watch the things in life that most seem to not notice. Whether it is our news and political culture of the day or those people that feel like "silence" is the way to force someone into submission, I don't miss one little thread of it. I see it and often I choose to just ignore it. For when you play on the level of people who can't seem to be human, than what is the point? So many in our world fool themselves into thinking that they hold the answers, they know the truth or they have seen the light. In reality, they have not yet opened their eyes. I wonder though, how can these same people continue to exist day after day, knowing that they are attempting to see without their eyes open? Please pardon the loud noise and dust as I am in the middle of upgrading this blog. Some things are not working and not displaying correctly at this moment but I'll be working on it over the next few days. By the way, the background scene in the blog is a picture of the sky that I took last Christmas at the beach. It works perfectly for this. There's more that will be coming so keep checking back. We've all heard people talk about being in the dog house. Often times, it is a joke amongst friends but in many situations, this is real life. Growing up in m y house, you either followed the law of the land, or you were thrown in the doghouse, so to speak. No, it was not a physical dog house but a hypothetical one. It easily could have been real though. The law of the land was the rules that were made up on the spot, to keep you in line, force you to do something against your will, or for the amusement and enjoyment of the king. It is important to note that these rules were ever changing, and many times you did not know about them, until they were enacted against the offense you committed. Before I mislead you to think that these were major wrongs that you committed in life, they were nothing of the sort! In fact, if one didn't put shirts on a hanger correctly (with the hanger pointing a certain direction) or if you didn't fold towels correctly and without error, these were considered major offenses. There were many rules that we had to follow and often we were literally beat for not following these things. It didn't matter what age you were, or how good you had been for days before these things happened. The only thing that mattered, was that the king found a way to show you who was boss! In the Trager(TM) Approach, less is more. While this may sound too simple, it is at the heart of this bodywork. I remember one experience while in some training to learn the Trager Approach. During this training week, my body was at a point where it did not want to be touched, moved, or rocked in any way. There are times when my body is this way and to attempt these things is only going to irritate it. In fact, often it drives my body further toward defiance, rather then acceptance. Without me knowing what was going on, the instructor told the other student working on me, to just put their hands on me and not move. They were just to think about moving. When I got off the table, I thought the student had been gently moving my legs the entire time. I was very surprised when I found out what the instructor had asked this person to do with me. While no movement had taken place, it felt like I was held and moved the entire time in a very supportive way. Anyone who is a cat lover knows just how awesome cats are! Cats are extremely important to me and most of my life, there has always been a cat around in my life. It is interesting that just last night, I was dreaming about my previous cat. I still miss her. Fortunately, we have two cats that we got from a rescue agency a few years ago, and they are such a joy to have around the house. Actually, I'm sure if you talked to them, they would say, we are fun to have around the house. I believe they picked us out instead of us finding them at the rescue place. One of the cats is a girl that is pretty particular about who she shares her attention with in life. When she is in that mode of wanting love or giving love, it is like her heart could melt the meanest person in the world. I still remember when I held Topanga in my hand for the first time. Those eyes looked up at me as if to say, "hi, I'm so glad we finally met." Even though you are no longer here, I cannot let the day go by without remembering your birthday. 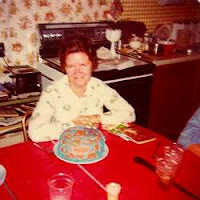 You always made birthdays special around our house with the beautiful cakes you would make for us and even the choice of what you would fix for a meal that night. A birthday was always our special day and we didn't have too many of those growing up. I just want to remember you on this day since you are on my mind. Yes, I still remember when I tried to make my first cake for you on your birthday. I learned that you had to let a cake cool before you frosted it. It didn't matter though to you because it was the thought that counted. Thank you Mom for staying close by me. I feel you around and I wish that our family could be so different than it is. I am not sure if it will ever be a close family or even a family that at least is able to be together for a moment here and there. All our family does it fight, abuse and act as if they are self righteous. I so wish that was different. Do you go to bed at night, only to wake up in the morning feeling like you need more sleep? 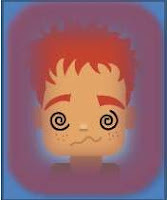 Do you feel worn out through your day, lacking energy because you did not get a good night's sleep? 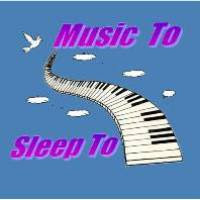 Using some very relaxing ambient music sounds at night may just help you sleep a little better. Here is an article of mine that was just published on Street Articles.com. Yesterday, I wrote about "Garlic Makes Me Sick" and today, I will expand upon the two items that really turn my body upside down. At one time in my life, I really loved onions and to a lesser degree garlic. In fact, I love the taste of them but the reactions I get from them are ones that I try to avoid at al l costs. Let's start out with onions because that is the one that will get my blood pumping quickly! Eating small quantities will make me sick or give me severe stomach discomfort. Just the smell or even the hint of an aroma will bring out a severe display of anger. I'll give you an example of what I mean. I was laying down one afternoon enjoying a nap when someone in the house was microwaving some food that had onions in it. My nose picked the slight scent up all the way upstairs and the next thing I witnessed was not pretty. Keep in mind that I don't think I was fully conscious in this episode. I raced downstairs yelling and screaming, what in the blankety blank are you cooking! Well the ugly monster has once again arrived. Yesterday, I went out to eat at a well known restaurant and I try to make sure I don't eat garlic, but obviously I messed up yesterday. The reason I'm writing this blog post is to share my difficulty with others who may be experiencing this same thing. I barely made it home yesterday, before I got very sick. I will spare you the details but my stomach feels like it was suckered punched for days. I've felt weak because of it. At least my headache has now subsided. My face and body no longer feels like I am sitting inside of a 2000 degree box. This is not the first time I have experienced this result when I inadvertently ate garlic. 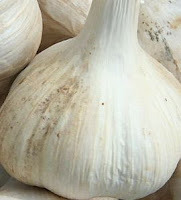 It has taken me some time to begin to narrow it down, but even a small amount of garlic can cause a horrible chain of events, that leave me praying for a small moment of relief. It isn't pretty and it isn't fun. As I see the headlines regarding Warren Jeff's abuse of his nephew and many others, come across the news wire, I am saddened at the statement my eyes read. Qu oting from CNN.com, "He began to tell me that we were going to do God's will," he said Jeffs told him. "This is between me, you and God." Such a profound statement that rips the fabric and essence of life from a little boy or girl, when they are abused by monsters such as this. Using religion to get their way and control the child is despicable beyond belief! Unfortunately the words, that Brent Jeff's shared, that it was between me, you and God, are all too familiar to my ears. I heard these same words. While I am saddened that another little boy experienced these things, I'm somewhat in awe of the realization that I was not alone with this. Here's an article that I wrote and was published on Street Articles.com about how I use my ocean waves CD for sleep. Every day we get up in the morning, we have two choices. One choice is to just go about our day as if nothing that we do matters or impacts the world. The other choice is to get up and declare that somehow today we are going to impact the world in a positive way. Unfortunatel y, there are far too many of us that wake up only as an existence in life and nothing more, playing the charades of life. While we claim to follow our news of the day fix in such a way that enlightens us and makes us the one that is right, we are only misleading ourselves. Much of what we consume in a day makes us more into an existence rather than a leading and positive force in the world. To much of what we consume is nothing more than a beautifully wrapped empty box that looks like an expensive gift! Sometimes we even follow the charades of life, listening to what the celebrity news forces of the day tell us is true. We might even follow the new age gurus of the day holding on to every word they say as if it is our existence. Yet, at the end of the day, where has this gotten us? Please don't answer that a warm fuzzy feeling is enough, because while this is nice, it doesn't prove much more than an existence. 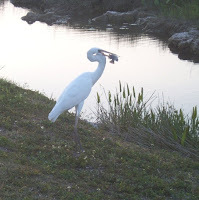 Continuing from the blog post on August 2, 2011 (Life Is Too Hard For Me), I am going to enclose the words of a song I once sang in church many years ago. While I very seldom sang solos in church, this is one that I did because the words meant a lot to me. Please note that I am in no way pushing a particular religious view of who I think God is or any manner of church belief in this post. In fact, if anything, I am far from that premise. The words in this song tell an important story of dealing through difficult times (in my opinion). Yes, I know it talks about Lord, save me, but I think that cry is uttered by people going through difficult times, just not in this context. We all cry out hoping for answers, longing for peace of mind and finding our way through things. I believe this is what this song is talking about more than it is talking about a faith in God. If I am incorrect, I will still defer to how the words impact my life without it being a religious context. - But he started to sink, and he cried out in fright. - For he started to sink on that dark stormy night. - "O why did you doubt, you of so little faith?" - But you'll stay up on top when your faith wins out. - Don't look at the storm or you'll start to fall through. - But if you should falter, he won't let you drown. - All the wonderful miracles faith can bring. - And see all the miracles faith will bring! If any part of this post is used or shared, a link back to this site is required. Please ask for permission before reprinting this article. Thanks! New Age Healing Practices can be great and wonderful and so effective. At their core, they are pure and focused on what healing is all about. However, all too often, these practices take on a structure that alters the healing and forms it into something that is more of an institution. I have watched from a distance how this unfolds in so many new age healing practices. Even though we have the best intentions in the world, it seems like we fall prey to the inadequacies within ours self as healers. We bypass the things that make sense to us deep within our gut and body, for the ability to have as many people connections as we can. We become an organization, complete with followers, rather than stay completely true to ourselves. I am sure that the most noble of healers come to this crossroads at some point in their path and hopefully they have their eyes open wide enough to see where their path becomes derailed. So what are the fallacies of new age healing practices? 1) Telling a great story that draws people in, where they are mesmerized to the point of signing up for just about anything you are offering that night, regardless of how it truly connects with them. 2) Claiming that you are the only one with these abilities, healing practices or that they have been delivered personally to you from some named entity. Please note, that I know we all pick up on things and there are probably some supernatural experiences but this claim is made way too quickly these days without explanation or a testing of the facts. I'm sorry if I am raining on anyone's parade but this is beginning to get out of hand in the new age world. 3) Appearing as if you have all the answers to whatever issue comes your way. It seems like it is a rarity to hear a healer say, "I'm sorry, but I've got no idea how to help you and this is probably beyond my scope of practice." I've witnessed this deficiency over and over all the time in various people, organizations and practices. 4) Spending more of your time developing classes and giving lectures, seminars or writing books and materials versus the time that you are actually working to help heal people. Sure, I understand that maybe your path involves teaching others but if you aren't doing the work on a consistent basis, than how can you claim it is helping others? Students of your work may or may not prove that your work is helping to heal others. 5) Doing the work on others but doing nothing on yourself or not participating in trades with others. How can we heal others if we don't continually work on ourselves? That seems very inauthentic to me! 6) If you are not able to sustain yourself with your work than there is a lack of authenticity to what you do. At first when you are starting out, this may be the case but if your life is helping others, I fully believe the universe will respond appropriately. 7) The amount of money you charge or don't charge is a fallacy of new age practices. I have seen people ask the universe for abundance and then yet, they do not ask for any payment from their clients. I recently read something by a friend that stated how much this puts the healing relationship out of balance. On the other hand, I have seen healers charge exorbitant fees for their services claiming that they are worth every cent. Somehow, I have a difficult time believing the universe looks at this as normal. After all, the people that most likely need the healing the most aren't the one with big pocket books! 8) Only communicating with those that regularly see you may limit the amount of contacts you make in a month but they often leave behind those that need the moment of connection. I believe that communication is not just when you are in the office being treated but in those times when life is so very difficult. It is part of the healing process and part of being authentic. It is not just about communication that is convenient for the healer. 9) Realizing that not all clients progress at the same rates or on a linear progression. As healers, we most likely are not on a linear progression in our evolution. Depending upon what a person has gone through, it may take considerable time to truly unravel the intricacies of traumatic moments in their life. When the damage is great to an individual, so is the time it takes to heal, process and heal some more. If it becomes too much in too short of a time, it can overwhelm the person to the point of break down. Be patient with your clients and try not to put unnecessary burdens of expectations on them. 10) Each healing modality that you do or are aware of has only so much provable truth within it and the rest is what you and your mind or other followers derive. While that may serve you well at times, you need to recognize that there are limits. Many times, what we feel is effective is nothing more than a placebo, yet we fail to allow our self to see this. By doing that, we do more harm than we do good to our clients. As healers, we must realize we are human and that it is not about being perfect or being put on a pedestal that makes us effective. Effective healing is about being as true to our self as we can in the moment we are at in our life. However this takes shape and form is entirely appropriate as long as we are true and honest with our self and evolving in awareness. Fear is alive and rampant in our society and every day life. Most of us go through life, not even recognizing just how intimately involved we are with fear. It is as if we are having a secret affair with fear, yet no one including our self knows about it. Where does fear show up? There are so many ways that it is hard to list them all. However, let me start with some of the top ones that I see displayed throughout our society. The government which is by the people, for the people and of the people or namely, each one of us, is one of the greatest sources of fear. Through our "boogieman" that has been created, we are scared into complacency. Since our government has the truth and information that we are all led to believe in, we succumb to the fear that the "boogieman" is around the corner, hiding and waiting to attack us. One could argue that this is truly the case but just as I want to believe that, I so remember the drills in elementary school of getting under the desk in case the communists came and bombed us. Of course, I never did know what a communist was but I was taught to be very afraid of it. Today, we have replaced the communists with other "boogieman" as fear is the weapon of control. One of the biggest purveyors of fear is the media. They have this down to a science. The stories are about the most sensationalized events. Often, they talk about the what if scenarios and the calamity that would follow if a fictionalized event unfolded. Day in and day out, the media does this with graphic images that captivate our brain and seize every logical thought we hold. The repetition of these stories of calamity adds to the imprint of fears that we live with in our day. In fact, the fears that are reported begin to feed off of one another until they take on a life of their own. Again, fear is the weapon of control. While I realize many people follow the tenants of church, at the heart of religious institutions, fear is used to control the masses. The fear of dying and spending an eternity in a lake of fiery hell is a strong motivation for people to donate to the church, follow without question what they say or hold the church and its leaders up on pedestals. I realize that many people who go to church and attend religious institutions claim to think logically for themselves but in many ways, they are only fooling themselves. If you are an observer, you will see quickly how much fear rules the lives of the church followers. Of course, this does not just stop with the church but it has permeated the new age practices of the day. Fear is the weapon of control in the church. In our day and age where the economy and the markets have taken a beating, we are taught that if we don't do our part and spend our money, the economic conditions of this country will decline. I am still mesmerized by the movie, I Am, where the person was demonstrating how the Stock Markets were created as if they were a human entity. When in fact, we as humans created this system and we control it. Yet, we live in fear of this system as it appears to control each one of us, whether we invest or we don't invest our money. As I go around a city on trash day, or to the thrift stores, or even view the stuff being given away online, I see the evidence of what consumerism does to us as a people. We have so much stuff and we are so attracted to our stuff that we are losing sight of what really matters. The fear of the economy has attacked us and I don't believe it is for the best. Again, fear is the weapon of control to keep us spending more so that the collective "we" don't let the economy crumble! One of the greatest weapons of fear in the medical establishment is that the medical establishment holds all the answers to our health. What happens when you get a cold or get sick, you run to the medicine cabinet or the pharmacy or health care provider and get something to take, to get rid of what it is that you have. Unfortunately, many things that make us sick are a result of stress, overworking and past traumas that have went unresolved. Yet, we don't stop and take an inventory of our life or see what may be linked to these moments. All we do is run to someone or something to relieve us from what we fear most, our health. Today, there are drugs and procedures and practices for everything that promise to make you better. The sad part is, unless we go in and do what we need to for our body, all the health care practices in the world will not make us well. They will just mask the underlying problem until something else comes along and gets our attention. I could go on and on about the fears that permeate every part of our society. They are the weapons of control and if we don't begin to become aware of them, they will be our biggest enemies. It does not mean we have to throw everything away that we have come to know and believe in our lives. However, if we do not evolve and grow in awareness of reality, than none of it will matter any longer. If we continue on the path we are on, we will succumb to the fears and it will no longer be just a weapon of control. It will be one and the same. 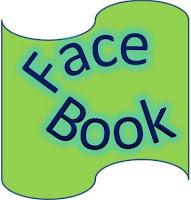 To learn more about what books I review, please go to the following post on Top Book Reviews (May 4, 2011). On the 5th of every month, my goal is to post a review of 1 or more books that have had a strong impact on my life. While I was in massage school, I began reading his book for a research paper I was writing on "Reclaiming Healthy Touch". I was amazed at some of the insights that Dr. Ford had written about because they were concepts that I had never heard anyone speak about to that point. If you work with people who have been traumatized or you have been through trauma, this book is a must read! People often ask, "what is lemon oil?" I really didn't know that much about lemon essential oil until I started doing some research online. There are many uses for it, from health concerns, food dishes, insecticide treatments, and perfume, as well as cleaning and disinfecting. To understand what is lemon oil, it is helpful to know where it comes from as well as the ingredients. Lemon oil comes from the rind of a yellow fruit from a small evergreen tree. While the lemon tree was native to Asia, Christopher Columbus brought the seeds to the U.S. in 1492. The lemon tree is believed to have been grown first in India and China. Lemon oil contains two main ingredients, limonene, which creates the aroma, and citral or citric acid. The 5% citric acid in lemon juice gives the sour taste. The pH of lemon juice is around 2 to 3. Cold pressing is used to extract the lemon oil, and it takes about 1500 lemons to produce about one pound of oil. There are three tablespoons of juice in each lemon. What Is Lemon Oil Used For? There are many uses for lemons including a disinfectant, liver stimulant, calming effect, antiseptic, and an antibacterial. It also helps in situations of anxiety, stress, and brain alertness. Other uses include perfumes, short term preservatives, cleaning and cooking. Studies have shown that test scores increase by up to 50% when lemon oil is diffused. A study in Japan diffused lemon oil into an office and found that there were over 50% fewer errors by the employees. In 1747, James Lind experimented with lemons to cure scurvy in seamen. Lemon oil combines well with other essential oils. Lemon zest is ground lemon peel that is used in food dishes as flavoring. If you need to brighten copper cookware or remove stains from plastic containers, try cutting a lemon in half and dipping it in baking soda, as you scrub the area to be cleaned. Disinfect a room with a diffuser, or just add a few drops of lemon to a spray bottle of distilled water. Always test a small amount of any oil first to make sure it is safe. Lemon is photo-toxic, so if you apply it to your skin, be careful about going out in the sun. Lemons left unrefrigerated for long periods of time can mold. Where To Buy Lemon Oil? Now that you know what is lemon oil, you most likely will be wondering where you can buy this oil. One of my favorite suppliers is Ananda Apothecary. They have high quality essential oils at very good prices and their customer service is top notch! Even though I use lemon oil regularly, I did not fully understand what is lemon oil until I did some online research. It is a powerful essential oil that should be in every home. While you're at it, pick up a couple of lemons the next time you go to the grocery store! This blog post is not intended to be medical advice. It is for informational purposes only. Consult your medical professional provider before making any decisions about your health or body regarding the information contained in this blog post. For many people, going to sleep can be difficult. 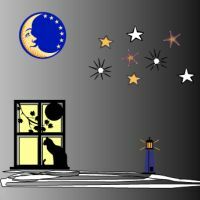 Here is an article I wrote on another site about tips to go to sleep. Some good information! Sometimes when life is too hard for me, I know that I need to stay focused on where I am going, not where I am in the moment. Moments of life can look bleak at these times, but it is then that we need to hold tight to our support line and keep pushing forward. When life is too hard for me, it is so easy to want to give up and just not face another day during these difficult moments. There are things around us in the present time that seem to knock us from every angle possible in life. Just when we feel like we are getting up and taking a step forward, it often feels like something comes along and squashes us right back into our hole under the rock. I am reminded of these things, as my current moments of life have plenty of up and down knocks lately. If I could sell these knocks, I’d be rich! I was reminded recently that I have been through many difficult moments of life and I made it through those things. In those past difficult moments in my life, it seemed pretty rough like it does today. However, I am now able to look back and see lessons learned, progress made, or the steps that I took. The situations don’t look as difficult to me now, and in fact some of the overwhelming moments are almost forgotten. It is amazing to me that with time and perseverance, the situations of the past look so much smaller and insignificant then they did while I was in the midst of these trying times. Even though in those past moments, all hope seemed lost and it appeared there was no way through it, somehow my human mind found the open door. It is amazing just how the human mind and body can evolve when push comes to shove. So, when life is too hard for me, it is in those moments that I must remember the past, so that I can move on and push forward. Even though you may feel the same way, that "my life is too hard for me," I guarantee you that if you keep going, keep putting one step in front of the other, you will make it. Yes, moments of life can be difficult, but we need to go back and look at where we have come from and use that to guide us forward.  Just a quick little note that I may be updating and changing the template on this mind body thoughts blog. So if you notice that things look different, don't be alarmed, you're still at the same place. I just want to upgrade th ings a little and give myself some other options so that is the reason for making the changes. Of course, there is so much history in the posts that I need to preserve and I'm hoping that any changes I make don't cause disruptions in the archives. Yet, this is blogger which means anything can happen! Hopefully though, it will all go smooth and will happen behind the scenes with very that anyone will see until it is done. If you come to the site and something doesn't load right, be patient and come back in a few minutes because it could all look different! 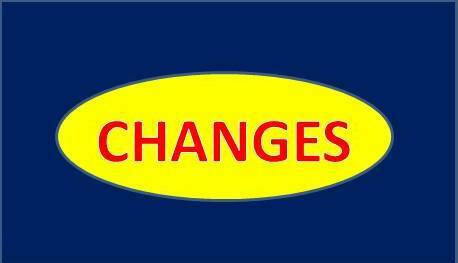 There is not time frame on the changes but I will be working on them over the next few weeks. And if you somehow lose access to it, you can always catch up with me on my main website http://www.donshetterly.com . Understanding Homeopathy - Does It Work?